Martha's Favorites: GRATEFUL FOR EVERYTHING! Hello ladies and welcome to Tea Cup Tuesday No. 308! Have you ever woke up in the morning knowing exactly what your plans were for the day, then God makes other plans? That is exactly what happened to me this morning. One minute I am eye balling the mountain of laundry and the next, I am tell my son, he may lose this Grandfather and we have to meet the family at the hospital. It was one of those days today. Thank God it had a happy ending. It was only God who kept this man from dying. He is 90 years old and already had a quadruple by-pass. Either way the doctor said, he probably would not make it. Yet here I am able to post today with good news. I don't know how people make it without God. We had everyone praying this morning and God answered. I am so grateful to God and the power of prayer! 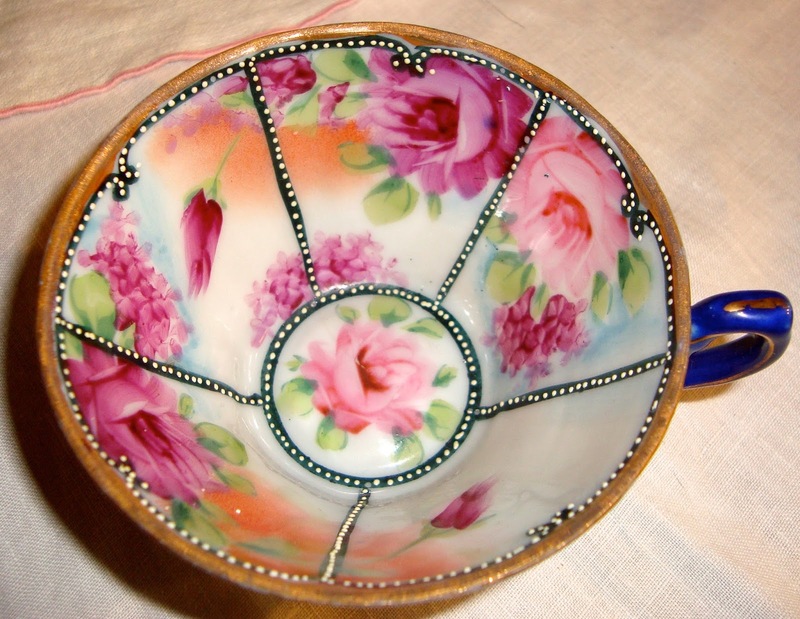 I know today is all about tea cups and the pretty things that make us smile. So I want to start with this beautiful Lefton Teapot. I own the entire set, including the canisters. It is so pretty. This next cup is so amazing. I do not know where it was made, I don't recognized the symbol. Love portrait cups. Here is my father in law, this past Friday. Kyle is in the blue sweat shirt on the right, the young man on the left is his other grandson, Chris. My son is doing so well, and now so is his Grandfather! Thank you for all your prayers. Looking forward to seeing all the pretty things you will be sharing today. Feel free to post any lovelies you have! I'm so glad to hear that your FIL doing well after his health scare. Your teapot and teacups are lovely. 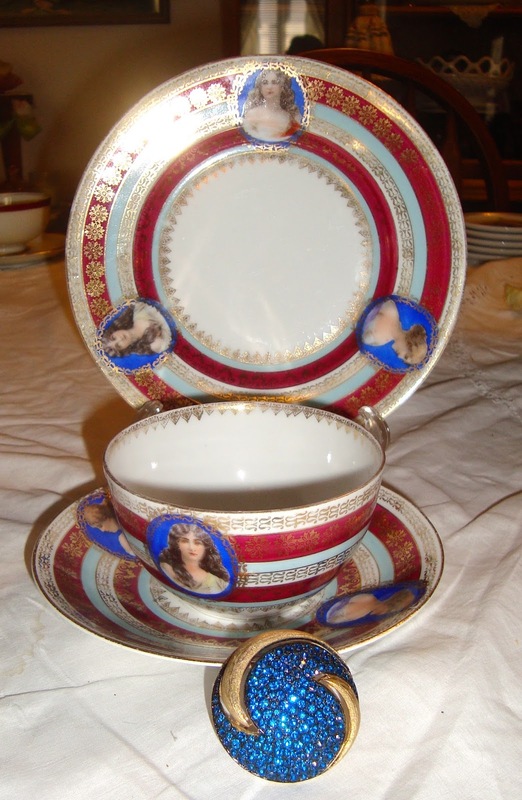 I'm especially drawn the Lefton teacup with the royal blue trim. Thank you for hosting and have a wonderful week! So glad to hear all is well, Martha! 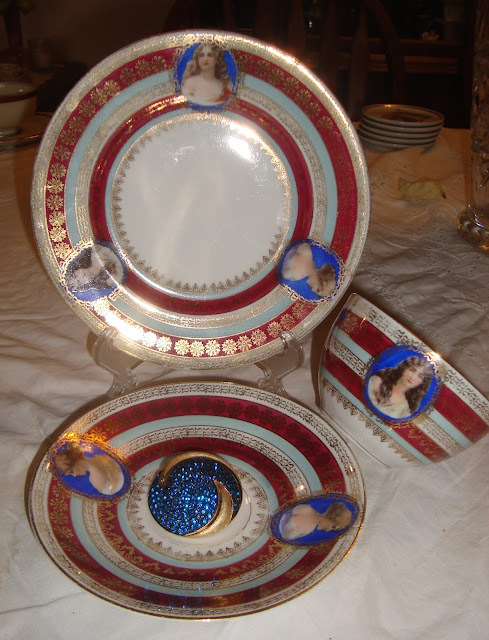 What lovely china you have shared today. They are beautiful. 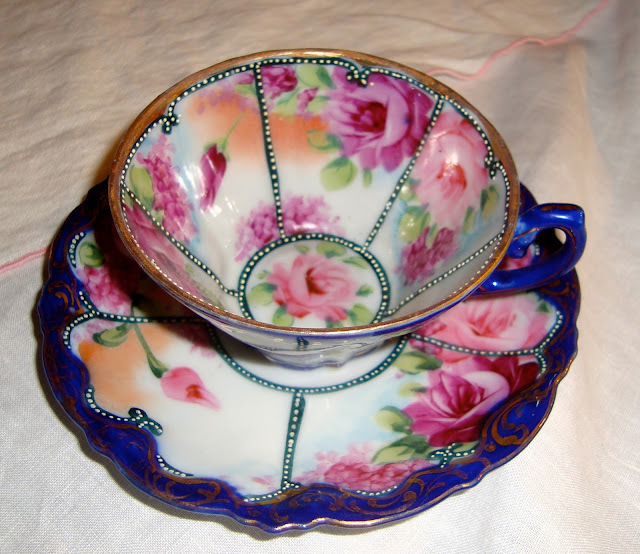 I'm especially attracted to the Lefton; a teacup fit for a queen! Have a wonderful week with more blessings poured out upon you and your family. What good news you've shared, Martha,and what a sweet picture of your FIL with his two grandsons. Your teapot and your teacups are so pretty. Thank you for hosting and I hope that your week continues to be loving and kind to you and your family. God bless you! Grateful is such a powerful and important word. You have such a wonderful perspective on the important things in life. I am so glad your father in law is doing well. 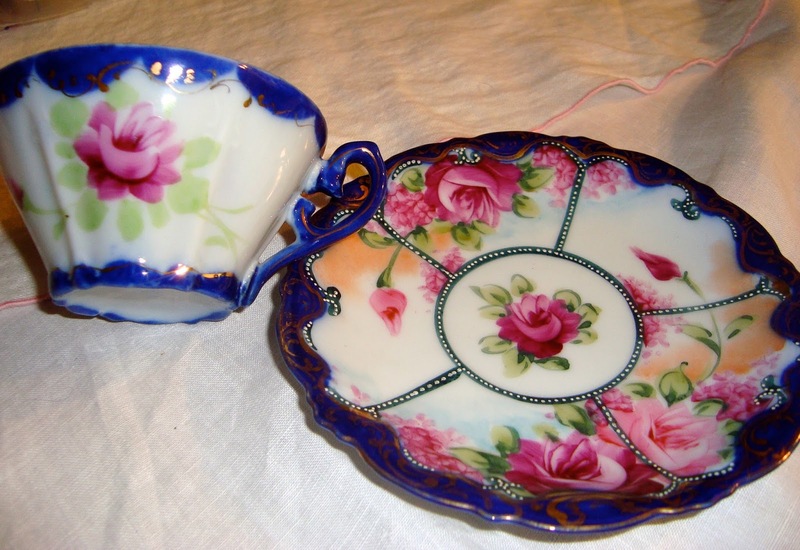 I'm amazed you had time to host and share your beautiful teacups. The "lines" on your Lefton teacup make it so unique and special. Such a lovely family photo. So pleased your FIL got through his difficulties. your Lefton Teapot truly won my heart, I'm so charmed by it !!! I am so very happy for you and your family that your prayers have been answered. 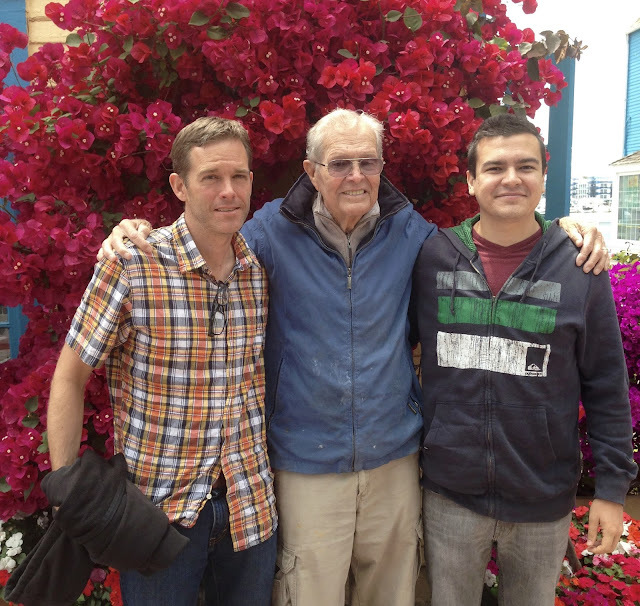 I am so glad both Kyle and grandfather are doing so well. It is always so lovely to hear good news! Blessings to you and your family for God is good! 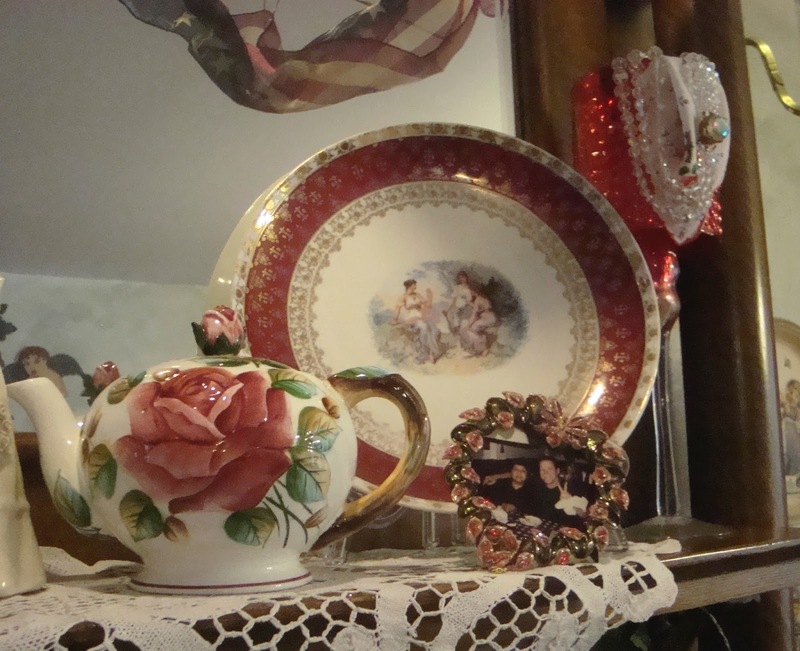 Your beautiful cups and saucers are so lovely and I especially enjoyed seeing your teapot! Your photos of your son it wonderful and I know you are proud. Thanks for hosting your party! So glad prayers were answered! Your teapot and teacups are lovely! God is good; it helps praying to Him and thanking Him. Your grandchildren Noah and Sophia are adorable! So glad all are well. Happy Memorial Day Martha! Hi Martha...just realized this is for last week, but was out of town and just saw it. That is wonderful news about your Father in law. God is good! Love your red, white and blue teacups. Just lovely! Hello Martha, I am wondering if you are getting any of my e-mails? I hope you are well and that Kyle is still doing o.k. I am keeping you in my loving thoughts. I have certainly missed you, Martha. 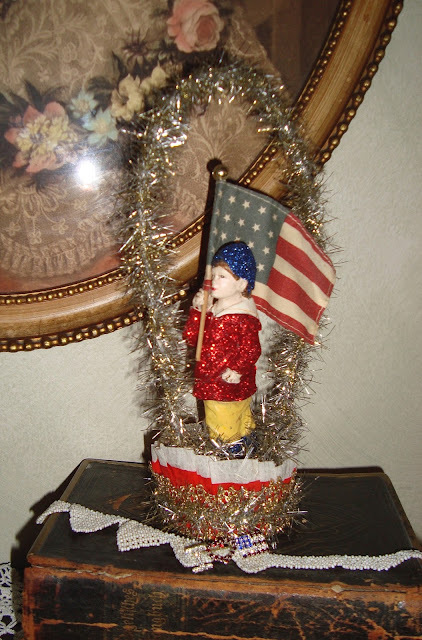 I've had a busy, sometimes-difficult couple of years, so I haven't been around blogland much. Life has settled down and is very good, so I have decided to jump back into blogging. I'm glad to see you are still hostessing Teacup Tuesday. I'm so glad your family is doing well. That's a really terrific photo of the guys. TEA CUPS PRETTY IN BLUE! TEA CUP TUESDAY NO. 306!